Just in time for Zainab's 3rd birthday! 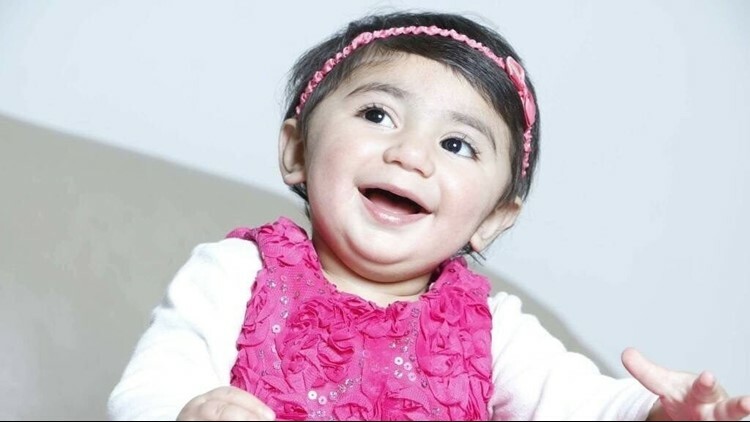 ORLANDO, Fla. — A fifth donor match has been found for a South Florida toddler with a rare blood type, just in time for the little girl to celebrate her 3rd birthday. One-Blood has been helping in the international search for blood donor matches for Zainab, who has been battling neuroblastoma, an aggressive form of cancer. The fifth compatible blood donor was found in Australia. American Rare Donor Program (ARDP) were told by international colleagues about the discovery of the fifth donor and arrangements for units of the blood to be flown have been made. The donor has been determined to be 100 percent compatible with Zainab. One-Blood is looking for a total of seven to 10 donors for her long-term blood transfusion needs. Two of the five donors were found in the United Kingdom and two were found in the United States. Her blood is extremely rare because she is missing a common antigen that most people have in their red blood cells. The antigen is called "Indian B," and donors must also be missing the Indian B antigen to be a match, according to OneBlood. The only people who are likely to be a match for Zainab are of Pakistani, Indian or Iranian descent. And, of those populations, less than 4 percent are missing the antigen, according to statistics. One-Blood has tested more than 3,500 units of blood to search for compatible blood matches.